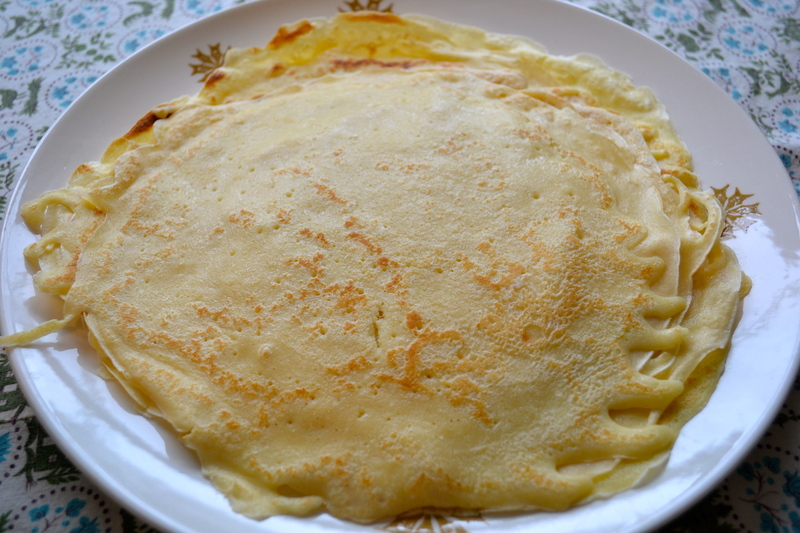 One of the things I miss about living in England is Pancake Day, also known as Shrove Tuesday or Fat Tuesday. 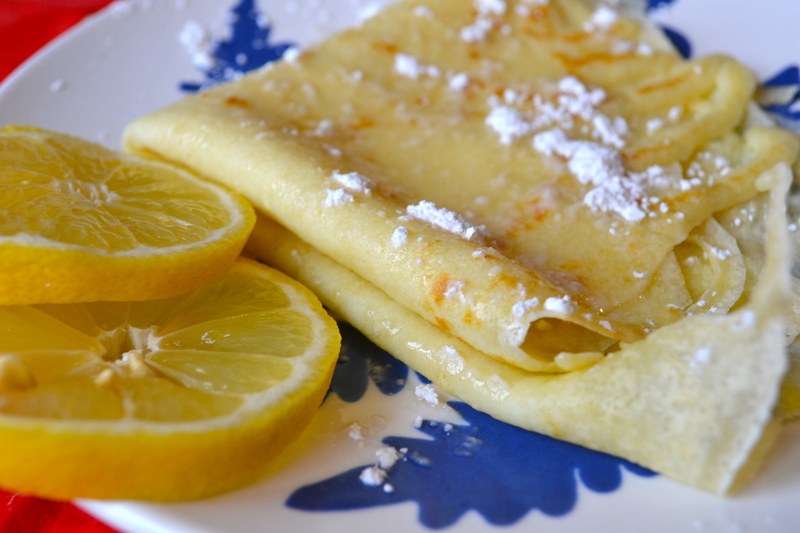 (Pancake here meaning crepe, not to be confused with the American pancake which is more of a novelty there.) What a cute holiday. To celebrate, eat a pancake. Our local pub in South London would sell mounds of them for one pound each and it was a popular, boisterous event. I must put a disclaimer here that I didn’t follow a recipe. But for those who wish, I posted Julia Child’s ingredients list below. I really did just dump in a cup of flour, a glass of milk, a pinch of salt, 2 eggs (not three) and some melted butter. You kind of can’t fail. I didn’t add any water and they were fine. 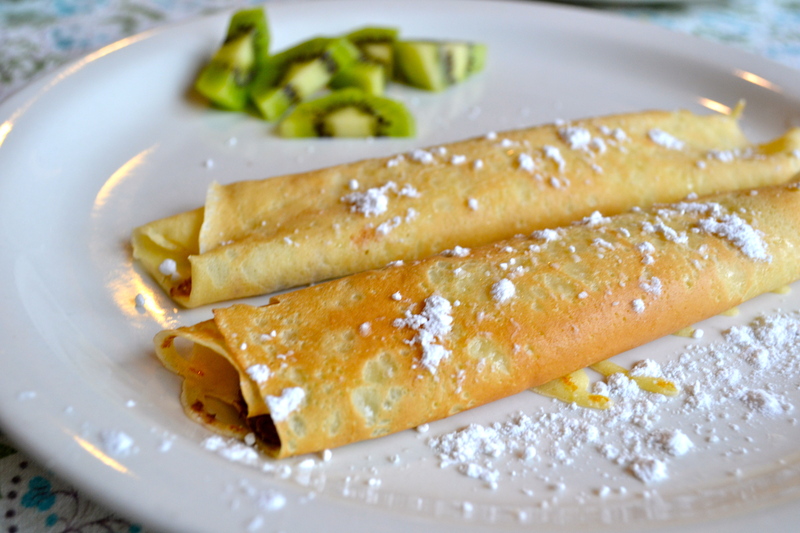 I have also made these with white wheat flour for the kids and they turned out yummy. Whether you do it my way or Julia’s, the steps are the same. 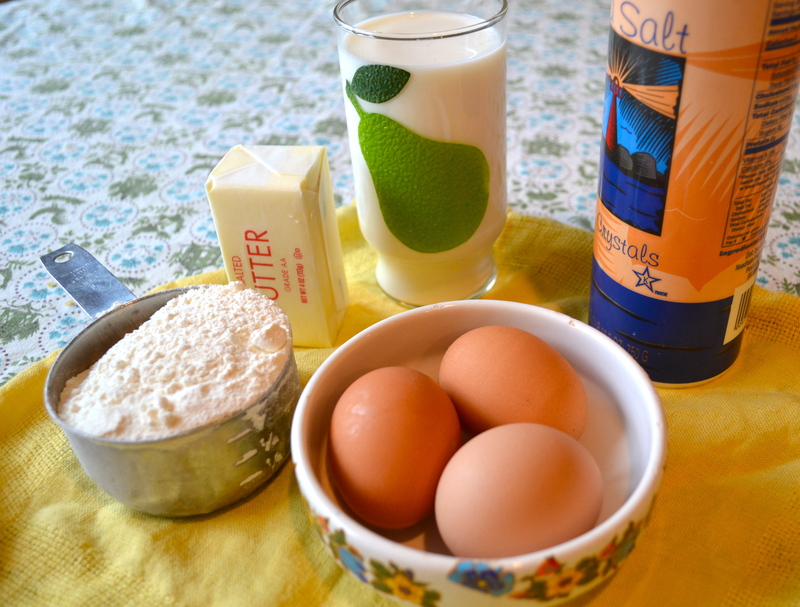 1) Dump it all together and whisk or use a hand-held blender. The end. This really is the easiest thing to make. The consistency is much wetter and thinner than American pancakes. It should be like a cream. 2) Heat up a good quality frying pan to medium or medium high and put just a speck of oil or butter in. 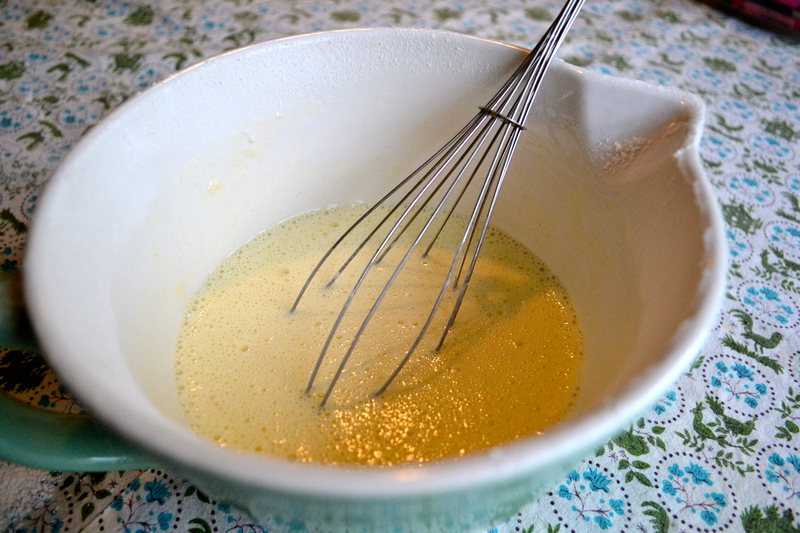 Ladle in the crepe batter and tilt the pan to swirl around. You can also ladle in a little bit more if you messed up the shape or it got torn. No fear! 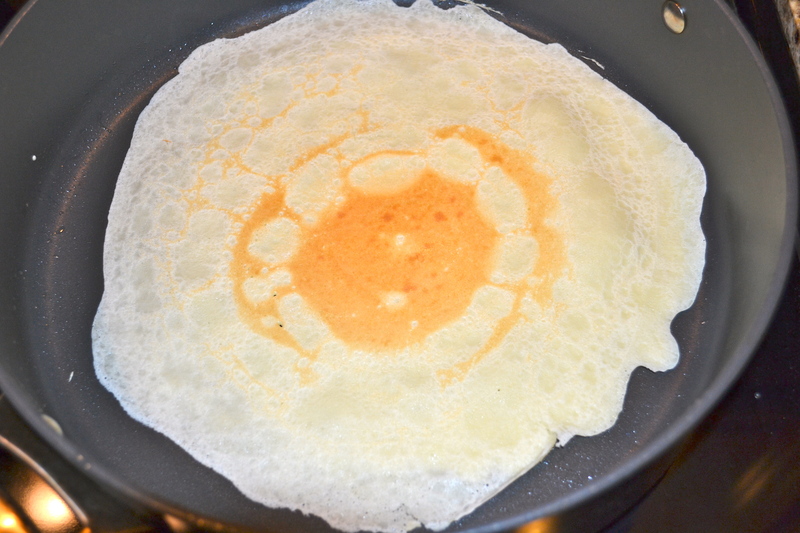 If you want to avoid getting those little ‘legs’, make sure there is enough batter so that it swirls all the way to the walls of the frying pan to keep a perfect circular shape. 3) Cook till one side is golden and then flip to cook the other side. Maybe a minute or less each side. They cook very quickly. When you’re finished, it’s time to decide on fillings. Strawberries and cream. Carmelized pear and chocolate. 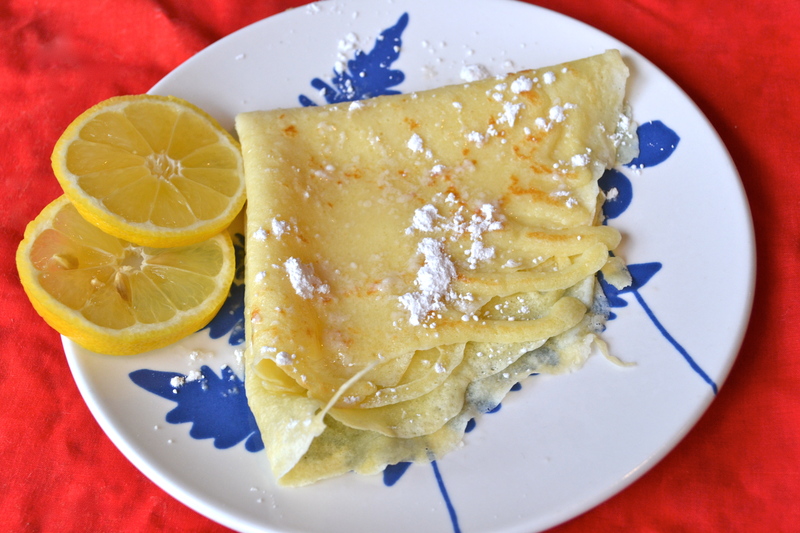 At our house the kids usually stick with nutella and my husband likes the classic lemon and powdered sugar. 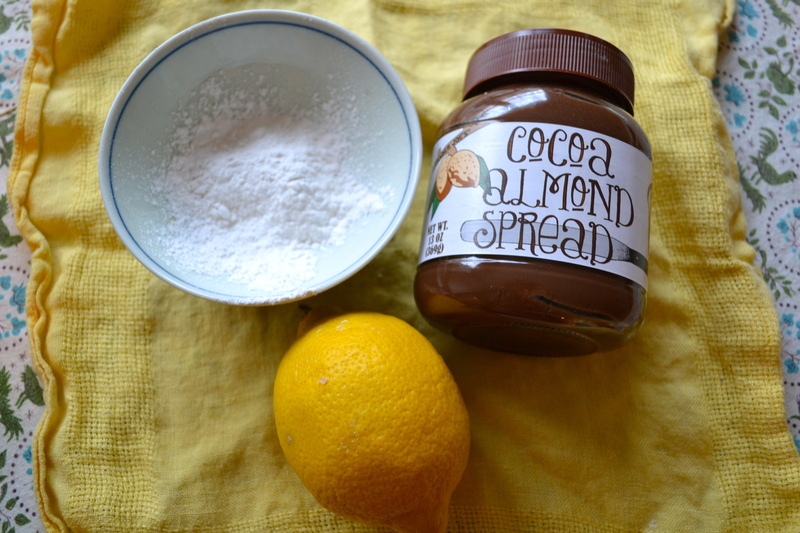 For the kids, Trader Joes chocolate almond spread! I had the lemon and powdered sugar. Delicioso! Tart and sweet. Simple and chic. Just squeeze a lemon wedge all over the sucker and drench in powdered sugar. Maybe next year I’ll remember on the right darned day! That would be fun! You’ve inspired me to get one as well.